The syllabus for International Maths Olympiad is divided into four sections for each class starting from class 1st to class 10th . This has been done in order to ensure that it is represented in an easy-to-find way. The sub-topics are given strictly according to the class in which the student is and the Mock Tests and Sample Papers are also provided. Section 2 is the Mathematical Reasoning section in which questions are based on the topics relevant to the student’s class. Section 3 is the Everyday Mathematics section in which the syllabus is same as that of Section 2. However, the questions are more of the type of Everyday Mathematics and not related to reasoning. Section 4 is the Achievers Section. This section also covers questions based on the topics of Section 2 but the level of questions is higher. It is advisable to start this section only after the other three sections are complete. Section 1 (Logical Reasoning) : Patterns, Odd One Out, Measuring Units, Geometrical Shapes, Spatial Understanding, Grouping, Analogy, Ranking Test, Problems based on Figures. 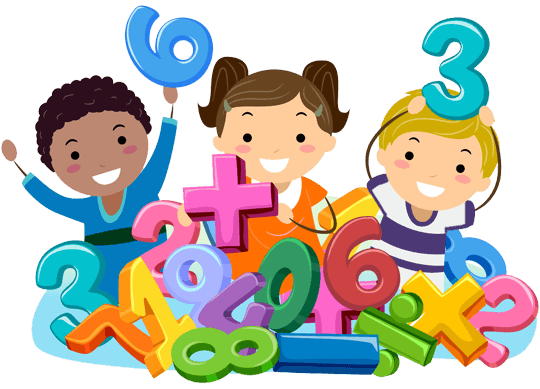 Section 2 (Mathematical Reasoning) : Numerals, Number names, Number Sense (2 digit numbers), Addition, Subtraction, Lengths, Weights and Comparisons, Time, Money, Geometrical Shapes and Solids, Patterns. Section 3 (Everyday Mathematics) : Syllabus as per Section–1 and 2. Section 4 (Achievers Section) : Higher Order Thinking Questions - Syllabus as per Section–1 and 2. Section 1 (Logical Reasoning) : Patterns, Odd One Out, Measuring Units, Geometrical Shapes, Analogy, Ranking Test, Grouping of Figures, Embedded Figures, Coding-Decoding. Section 2 (Mathematical Reasoning) : Numerals, Number Names and Number Sense (3-Digit Numbers), Computation Operations, Length, Weight, Capacity, Time, Temperature, Money, Lines, Shapes and Solids, Pictographs, Patterns. Section 3 (Everyday Mathematics) : Syllabus same as Section 2. Section 4 (Achievers Section) : Higher Order Thinking Questions - Syllabus as per Section 2. Section 1 (Logical Reasoning) : Patterns, Analogy and Classification, Alphabet Test, Coding-Decoding, Ranking Test, Grouping of Figures and Figure Matrix, Mirror Images, Geometrical Shapes, Embedded Figures, Days and Dates & Possible Combinations. Section 2 (Mathematical Reasoning) : Numerals, Number names and Number Sense (4-digit numbers), Computation Operations, Fractions, Length, Weight, Capacity, Temperature, Time, Money, Geometry, Data Handling. Section 3 (Everyday Mathematics) : The Syllabus of this section will be based on the Syllabus of Mathematical Reasoning. Section 4 (Achievers Section) : Higher Order Thinking Questions - Syllabus as per Section – 2. Section 1 (Logical Reasoning) : Patterns, Alphabet Test, Coding-Decoding, Ranking Test, Mirror Images, Geometrical Shapes and Solids, Embedded Figures, Direction Sense Test, Days and Dates & Possible Combinations, Analogy and Classification. Section 1 (Logical Reasoning) : Patterns, Analogy and Classification, Geometrical Shapes, Mirror and Water Images, Direction Sense Test, Ranking Test, Alphabet Test, Logical Sequence of Words, Puzzle Test, Coding-Decoding. Section 2 (Mathematical Reasoning) : Numerals, Number names and Number Sense (7 and 8 digit numbers), Computation Operations, Fractions and Decimals, Measurement of Length, Weight, Capacity, Volume, Time, Temperature and Money, Conversions, Geometrical Shapes and Solids, Angles, Perimeter of Various Shapes & Area of Rectangle and Square, Symmetry, Data Handling. Section 2 (Mathematical Reasoning) : Knowing our Numbers, Whole Numbers, Playing with Numbers, Basic Geometrical Ideas, Understanding Elementary Shapes, Integers, Fractions, Decimals, Data Handling, Mensuration, Algebra, Ratio And Proportion, Symmetry, Practical Geometry. Section 2 (Mathematical Reasoning) : Integers, Fractions and Decimals, Exponents and Powers, Algebraic Expressions, Simple Linear Equations, Lines and Angles, Comparing Quantities, The Triangle and its Properties, Symmetry, Congruence of Triangles, Rational Numbers, Perimeter and Area, Data Handling, Visualising Solid Shapes, Practical Geometry. Section 2 (Mathematical Reasoning) : Rational Numbers, Squares and Square Roots, Cubes and Cube Roots, Exponents and Powers, Comparing Quantities, Algebraic Expressions and Identities, Linear Equations in One Variable, Understanding Quadrilaterals, Constructions, Mensuration, Visualising Solid Shapes, Data Handling, Direct and Inverse Variations, Factorisation, Introduction to Graphs, Playing with Numbers. Section 2 (Mathematical Reasoning) : Number Systems, Polynomials, Coordinate Geometry, Linear Equations in Two Variables, Introduction to Euclid’s Geometry, Lines and Angles, Triangles, Quadrilaterals, Areas of Parallelograms and Triangles, Circles, Constructions, Heron’s Formula, Surface Areas and Volumes, Statistics, Probability. Section 3 (Everyday Mathematics) : The syllabus of this section will be based on the syllabus of Mathematical Reasoning and Quantitative Aptitude. Section 4 (Achievers Section) : Order Thinking Questions - Syllabus as per Section – 2. Section 2 (Mathematical Reasoning) : Real Numbers, Polynomials, Pair of Linear Equations in Two Variables, Quadratic Equations, Arithmetic Progressions, Triangles, Coordinate Geometry, Introduction to Trigonometry, Some Applications of Trigonometry, Circles, Constructions, Areas Related to Circles, Surface Areas and Volumes, Statistics, Probability. Section 4 (Achievers Section) : : Higher Order Thinking Questions - Syllabus as per Section – 2.